Freesat programme data has now appeared alongside the new streams for Drama, Really and Yesterday, as part of the move of UKTV channels on satellite to a new transponder. According to the data, openly available using appropriate equipment and software, Drama has been assigned Freesat channel 162, Yesterday channel 163 and Really channel 164. All channels are still encrypted. As of the time of publication (2:30pm), there's no Freesat EPG data associated with Dave, which is UKTV's other Freeview channel. The data does not always reflect the final position of the channels, but is traditionally the first sign of the channels being made available on Freesat. The impending move also reflects a change in emphasis for Sky, which is focusing resources on securing HD and on-demand content rather than locking away standard definition channels from free-to-air viewers. PBS America last made the switch from pay to free-to-air at the end of October. For broadcast rights reasons, a satellite transponder change is taking place, which will make reception of UKTV's standard definition channels more difficult or impossible outside of the UK, Ireland, the Netherlands, Belgium and northern France. There are no changes to UKTV's HD channels, which remain encrypted and part of Sky. UKTV's other channels, including Gold, Alibi and Watch continue to form part of UKTV's pay TV strategy, which are now available on an increasing number of platforms including TVPlayer Plus and BT TV. Meanwhile, UKTV's free-to-air channels are available via online service UKTV Play, which in turn has been enabled on more devices, most recently Amazon Fire TV in October. This is excellent news for Freesat and I hope it leads to many new Sky ---> Freesat conversions in the months ahead. According to Bert on joinfreesat, he says "All 10 **SD versions** of the UKTV channels have appeared on 12129V 27500 2/3 which is on the UK spotbeam according to the lads on one of the satellite technical forums." This is correct, but in order to allow some of them to go free-to-air, they're all moving to the UK spotbeam (old/new transponder details also published above). 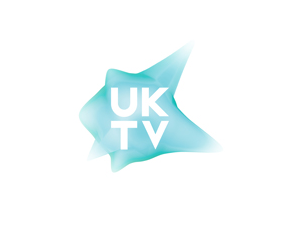 Neither UKTV or Freesat have confirmed/announced the move yet, and we will bring you the latest when we get it. is this going to be on sky to ? These channels are already distributed on Sky for subscribers. Once these channels go free-to-air, a Sky subscription will not be required to view Drama, Really and Yesterday, but you will still need one for their sister channels Gold, Alibi, Watch, Good Food, Eden and for the time being Dave. http://corporate.uktv.co.uk/news/article/uktv-channels-land-freesat/ Channels to be added"later this month"